Last Saturday I had a fantastic afternoon at my place of work – Ribby Hall Village. I work in the Marketing Department and am usually immersed in magazine articles, websites and all things technical but it was great to view The Village from the other side of my desk for a change. 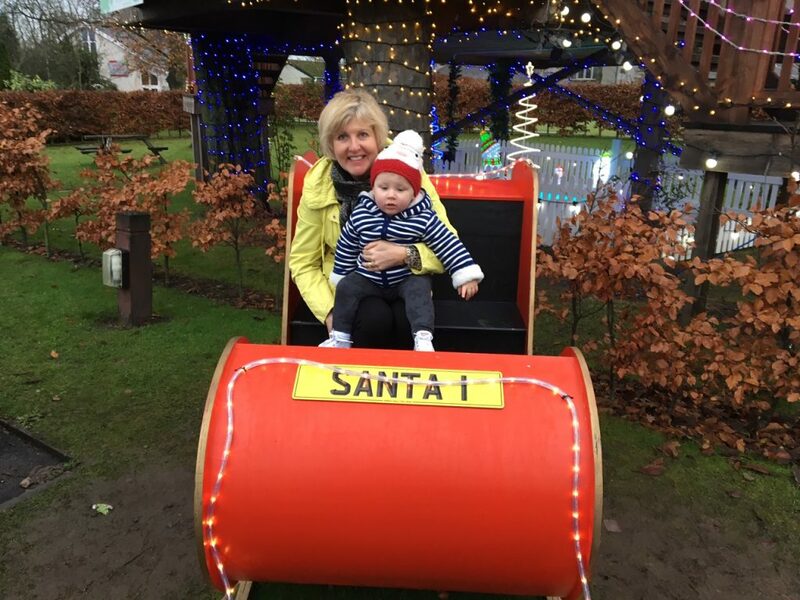 I have a little grandson, Oliver aged 16 months, who was staying with us for the weekend while his mum and dad were busy exploring the Christmas Markets in Manchester. 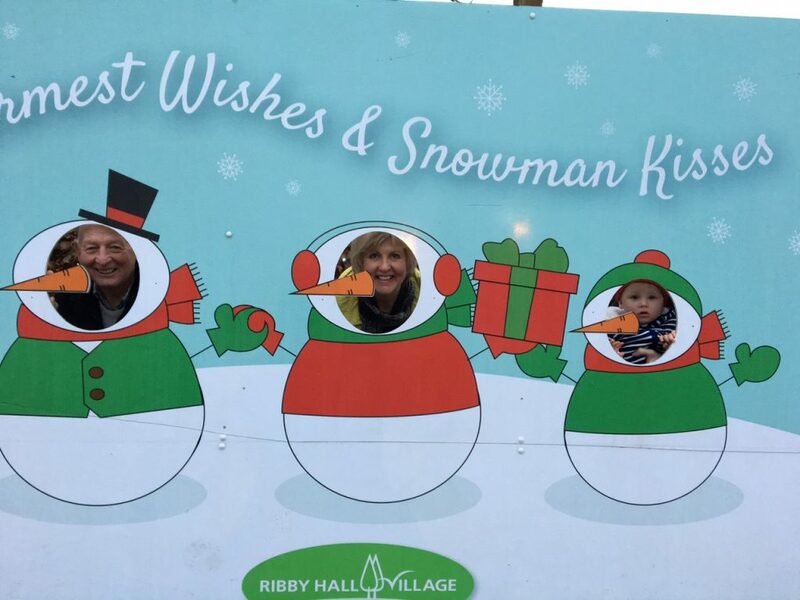 So my husband and I decided to get him outdoors for a few hours and brought him along to sample Ribby Hall Village’s Winter Wonderland for the first time. 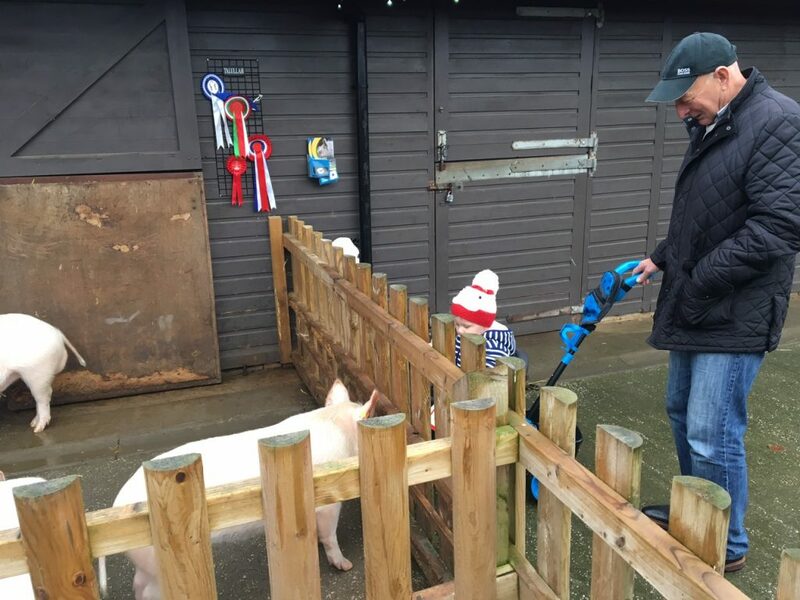 We started off at Wild Discovery where there are all sorts of furry, fluffy creatures to look at but Oliver seemed to be fascinated by the pigs! Very wisely, he didn’t seem keen on getting too close to the Emu who was keeping his beady eye on us, but he was mesmerised by the meerkats scurrying about their pen – up and down tree branches and in and out of cardboard boxes! Rather by good luck than good management we managed to catch Neil feeding Pringle the reindeer. I have met Neil Trickett, who owns and manages Wild Discovery, in a business capacity on several occasions, but it was a revelation to see him interact with his animals. It is obviously a labour of love for Neil who is so knowledgeable and talks about them with such passion. 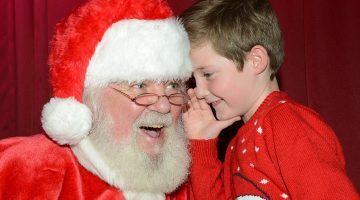 We then had a wander round The Village, past Santa’s Treehouse Grotto but we couldn’t call in to see the main man himself as we hadn’t made an appointment and it does get booked up very quickly. Instead we chatted with his elves and snatched a photo opportunity on Santa’s sleigh and the Snowman Tableau. A really kind daddy who was passing with his family offered to pick Oliver up so that we could all appear on the photo – thank you if you are reading this! We then made our way over to the Toddlers’ Play Area. There are 3 sections to suit different age groups but Oliver was just happy to go higher and higher on the baby swing! I wish we’d have left time to go for a Fudge Hot Chocolate in Starbucks but it was going dark and we needed to get Oliver home. There’s always next year! 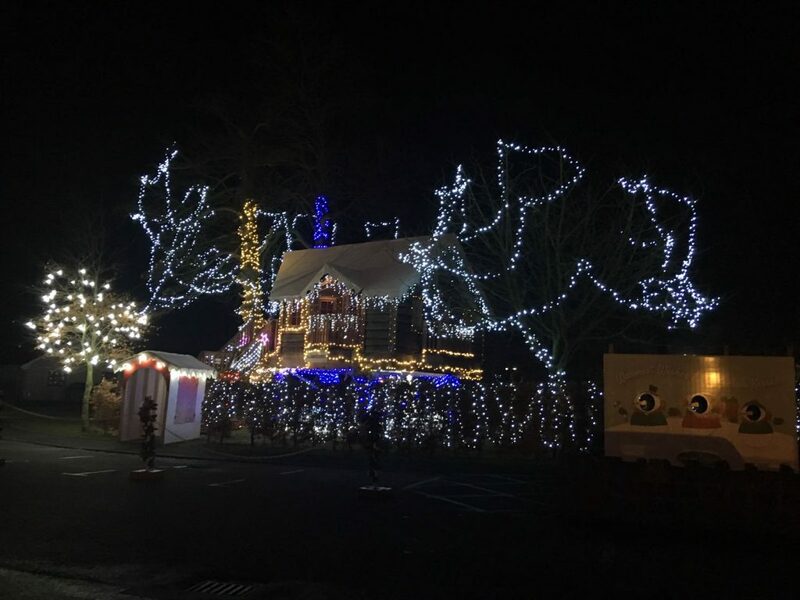 As we drove off The Village admiring the twinkly lights and watching other families enjoying Winter Wonderland I felt very proud and privileged to work at such a wonderful place. All in all we had wonderful afternoon, and I am so enthused and excited about all the new ideas we can discuss when we hold our next Winter Wonderland planning meeting in February 2017! 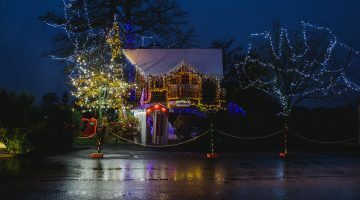 Have you experienced Winter Wonderland at Ribby Hall Village? Do you have any suggestions for next year? Let us know by commenting below. Don’t forget to share this post with your friends.